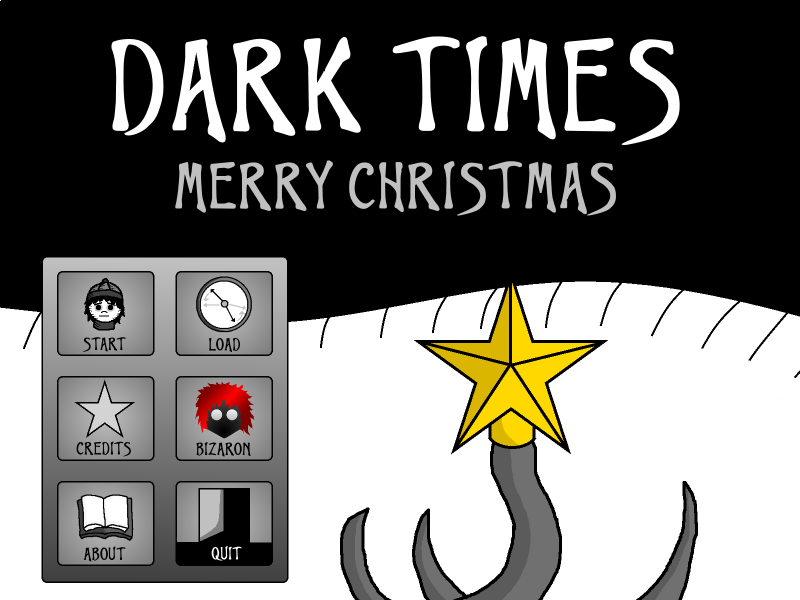 "Dark Times: Merry Christmas" is the very first installment in my "Dark Times" series. 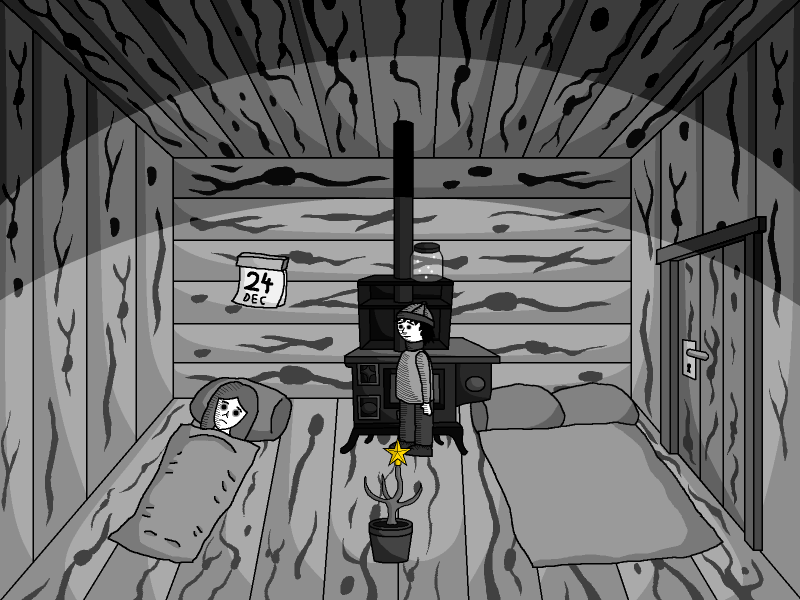 It tells a sad story about a little boy who lives in a wooden hut with the rest of his family. His brother goes outside to collect wood but doesn't return. Find out what's going on! If you want this game to have its full effect, then switch your lights off while playing it! 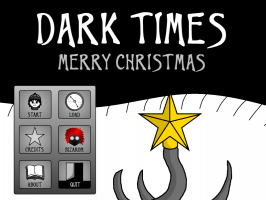 The "Dark Times" series is characteristic by its use of black and white colors and economic graphics, as well as dealing with "dark" topics. 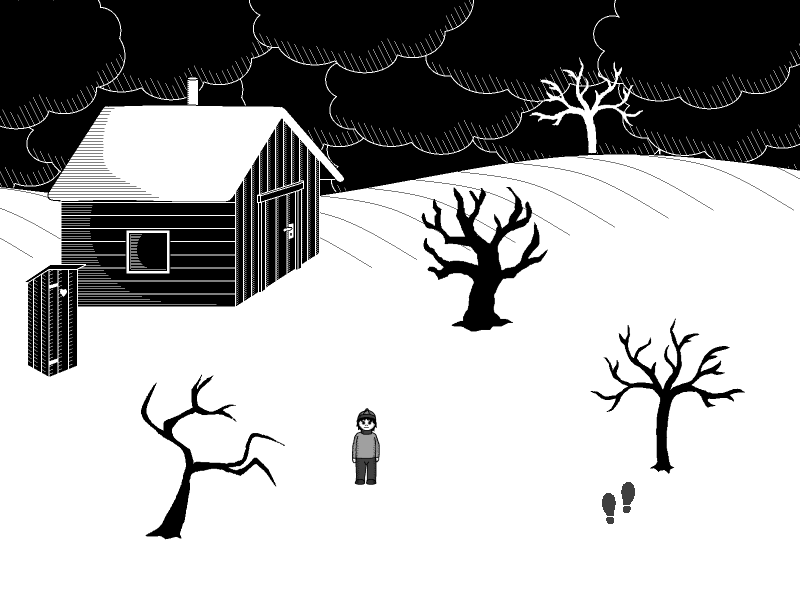 This one is bleak and sad but not all "Dark Times" games will be like this. A universal rule in my games: To open any door, use the "grab cursor" and some hitboxes might be small or tricky so give them more tries. Anyway, have fun!